Corporate site for Clear Plan, developers of cloud-based budgeting, planning and reporting solutions - and the only dedicated UK partner of Adaptive Insights. The project aim was to build a site that made the product and services visually appealing, while focussing on encouraging on-site signups. This was a responsive re-design, for Quatreus who are specialists in creating face to face experiences that strengthen relationships and improve communication. Responsive site for London based recruitment consultants, who specialise in the Not-for-profit and Charity sectors. It was designed by the good people at Radford Wallis, and built around a single page scrolling mechanism. It utilises a 3rd party data feed for all the jobs data, with bespoke categorisation and search engine functionality to filter the content. Site for serviced office provider in SE London. 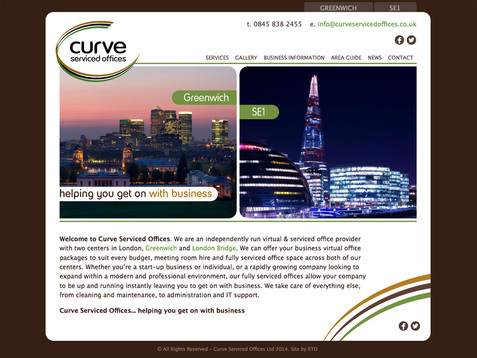 The site brief was to have a very visual site promoting the office spaces, and also to include other useful information such as details about the surrounding areas, and general help for small businesses. Site to promote the work of the British Sign Language Broadcast Trust. It's primary focus was to allow it's predominantly deaf users to watch the programmes/films funded by the Trust, and also to allow the Trust to engage and interact with the Deaf community. The brief was to create a very visual site with clear and logical navigation paths, which would allow users to easily find the content the wanted, but also to encourage discovery of additional content along the way. 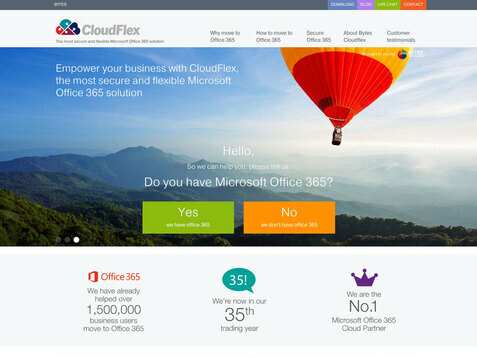 A Micro-site for CloudFlex, from Bytes, a secure and flexible Microsoft Office 365 solution. Designed by the team at in2orbit, My role was to create the front-end, and then integrate it into the existing main Bytes website CMS. 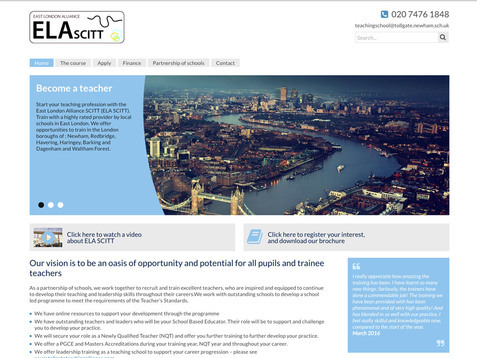 A clean, minimal site design for the ELA SCITT (East London Alliance School Centred Initial Teacher Training). The brief was to create a strong look and feel for the Alliance, and to encourage on-site registrations. 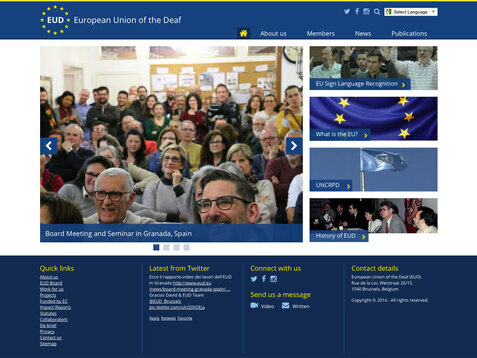 Site to promote the work of the European Union of the Deaf. Based in Brussels, Belgium, EUD is a not-for-profit European non-Governmental organisation (ENGO) whose members comprise of National Associations of the Deaf (NADs). 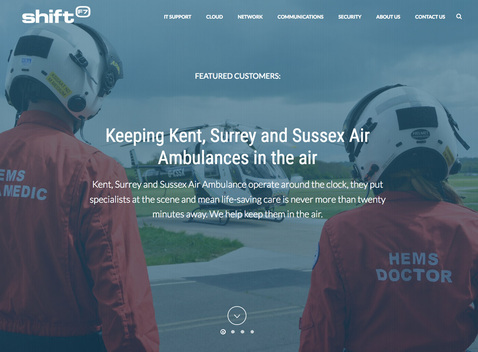 The brief was to create a very visual site with clear and logical navigation paths, allowing categorisation and tagging of all content to aid the user experience. 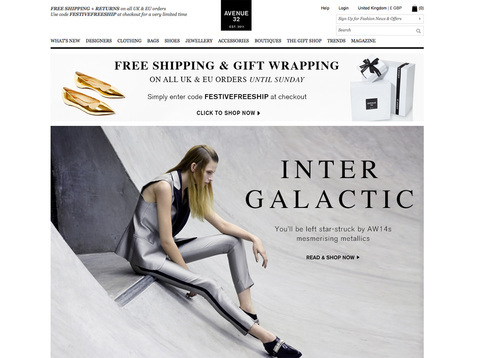 E-commerce site running from 2011-2017, and project managed by the great team at Big Light - this project was to produce approximately 50 front-end templates for the site. 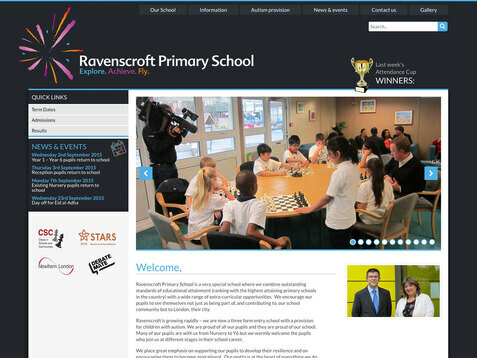 A responsive site for the East London Primary school. The brief was to make a site that was colourful and engaging, but at the same time to create a strong business-like look and feel for the school. 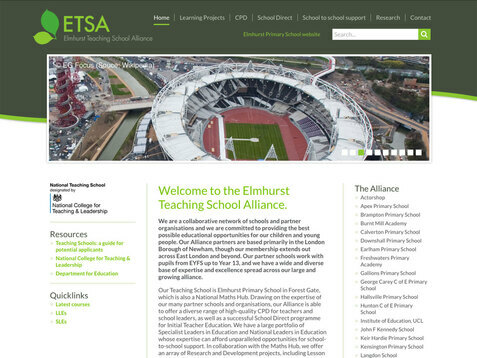 Site for Elmhurst Teaching School Alliance. The design needed to represent the professional approach and offerings of the Teaching School. I designed and built the site, and also produced brochure templates for printed marketing material. A responsive marketing site for Ellis Green Hairdressing. The brief was to strongly convey the visual look and feel of the salon itself, as well as making very clear that it is an Aveda Salon. The homepage design is based largely around a single page scrolling layout, introducing various key aspects of the business, and inviting further exploration. 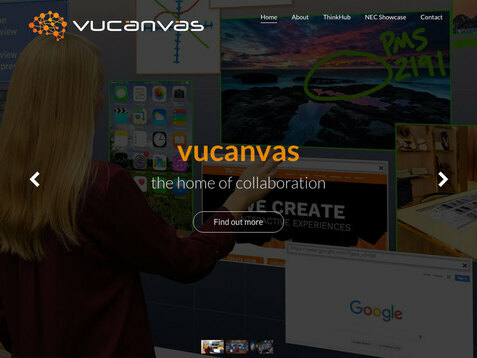 Brochure site for vucanvas who specialise in integrated collaboration technology. This site was designed to showcase the growing product range, and advertise upcoming exhibitions. Responsive site for a Soho-based Agency representing Directors of Photography and Production Designers. The site was based around a full-screen slideshow design by the very talented Mike Brimmer. It required a 3rd party data fed to bring in all the content, and is all about promoting the video portfolios of the creatives on the roster. A site for Shift F7, an IT managed service provider. Their previous site was no longer fit for purpose as it had become a dumping ground of 4 different companies with 4 different focuses - so the requirement with this design was to amalgamate all aspects of the expanded business under one roof. The design updated and enhanced the overall visual online presence of the brand. I am a UK-based Web Developer & UX/UI Designer with over 15 years experience creating websites. Focusing primarily on content, usability, and accessibility, my work places the end-user at the centre of the design process. As a Developer coming from a Graphic Design and Photography background I understand that aesthetics and brand values can be as important to a successul design as logical structures, hierarchy, and a great user experience. My role tends to change with each project, and I can fit into different teams easily. I have extensive experience covering most aspects of a website project - from research and planning, through to the design, front-end build, and back-end application development / CMS integration. I specialise in Content Management Systems such as Concrete5, Wordpress, and Shopify (for Ecommerce). When I'm not designing/building/curating online experiences, I love listening to a wide variety of music (old-school vinyl junkie at heart! ), drinking too much high-grade coffee, playing guitar, exploring the beautiful Wiltshire countryside by mountain bike, or relaxing with my amazing family. I've worked with Rich on various projects running from full CMS-driven website builds through to HTML email campaigns. I've always found his work to be of a high standard, and his technincal knowledge / input invaluable. From a Design Agency perspective, outsourcing to Web developers can be a complete minefield, but I've always had a great experience with Rich because he is trustworthy, and takes real care about his work output. I've worked with Rich many times over the last five years, and I've only admiration for the way he takes on a brief of any size and produces fantastic results every time. When it comes to website development, he is a rare breed as he comes from a design background – which means he not only has the technical ability to produce cutting edge websites, but the design flare to match! If you get the chance to work with him, you'll find him extremely personable, easy to work with and a true expert in his field. I really can't recommend him more highly. We have worked with Rich over the last five years on the design, build and support of our website, bslzone.co.uk, and he is now working towards the launch of a BSL Zone app later this year. Throughout this time he has been a pleasure to work with: Rich is proactive and forthcoming with new ideas and designs, highly reliable in keeping the site up to date and always available while also being very approachable and responsive to our requests and questions. He communicates technical things in straightforward, clear language which is really helpful for all of us, too. Richard Tidmarsh has been an invaluable support in liaising with our staff team to keep our website up to date. Richard takes great care in presenting a positive and professional website to promote the highest expectations of learning. At Elmhurst Teaching School, we were very impressed with both the quality of consultation and the quality of the website that Richard built for us. As school leaders, without advanced levels of technological and web-design knowledge, Richard has been able to support us to design and manage a professional, effective and easy-to-maintain site, and this has really helped our public image. Our site has now gone from tired and dreary to colourful and informative with the help of Richard Tidmarsh. Richard's support has been second to none, with his expertise we have been able to breathe life into a new site which the whole school community loves. Any issues and amendments are always dealt with quickly and to the highest standard. Thanks for getting in touch. I will respond as soon as possible.